Forty-four hairstylists and beauty consultants attended C.A.R.E. (Cancer-Awareness-Responsibility-Education) Behind the Chair 2011 led by Dr. David Ollila, MD, with an Organic Color Systems demonstration by Andrea Snyder from Andrea &amp; Co. Salon. May 30, 2011	(Newswire.com) - Forty-four hairstylists and beauty consultants attended a very special cancer awareness luncheon, May 9, at the N. C. Cancer Hospital Patient and Family Resource Center presented by Dr. David Ollila, MD, the co-director of the University of North Carolina's Multidisciplinary Melanoma Program. This community event was specifically tailored to regional hair and skin care professionals. It provided information on the basics of skin cancer detection and methods that beauticians can use to encourage their clients to seek further medical evaluation for questionable skin changes. After Dr. Ollila's presentation attendees were able to ask questions and discuss what they had learned. Andrea Snyder from Andrea & Co. Salon then gave a demonstration of Organic Color Systems ammonia free professional hair color line on a model that was also a recent cancer survivor. The model had her first hair re-growth after chemotherapy colored with this gentle color line. Organic Salon Systems provided all of the products for the demonstration, gift bags with product literature to all the attendees and their "Try Me" 5-color package as a raffle prize. Francesca Morgan from Studio 180 Salon in Cary NC was the lucky prizewinner. "The power and influence we hairstylists have behind the chair is enormous. Our clients trust and value our opinions." Says Andrea Snyder from Andrea & Co. Salon, "Creating C.A.R.E. Behind the Chair with Dr. Olllia and UNC Lineberger Comprehensive Cancer Center is a tribute to the fact that we as hairstylists have the power to help save lives and promote healthy living. Demonstrating the benefits of using Organic Color systems was the perfect compliment to teaching stylists how to detect and educate clients about melanoma." The American Cancer Society also had a vendor table that promoted their "Look Good, Feel Better" program. "Organic Salon Systems is committed to bringing the professional beauty industry the most effective natural and organic products available", says Troy Raszka, Marketing Director for Organic Salon Systems, "It was exciting to be able to participate in an event that not only promoted health and wellness, but also educated hairdressers in how they can go further to help their clients". Click HERE to view a photo gallery of the event! The program received great reviews with many requests from participants to have the presentation repeated for fellow co-workers who were unable to attend this session. University of North Carolina Lineberger Comprehensive Cancer Center does not endorse Organic Color Systems or receive financial benefit from Organic Salon Systems. 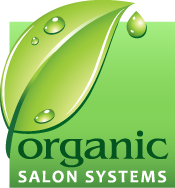 Organic Salon Systems the leading supplier of eco-friendly and natural products to professional salons will honor Earth 2012 by switching off their power and encouraging their salons to do so as well.